CCP Games has been busy with EVE Online since its initial release in 2003. They have branched out into virtual reality before, but each time it has been within the EVE Online universe. 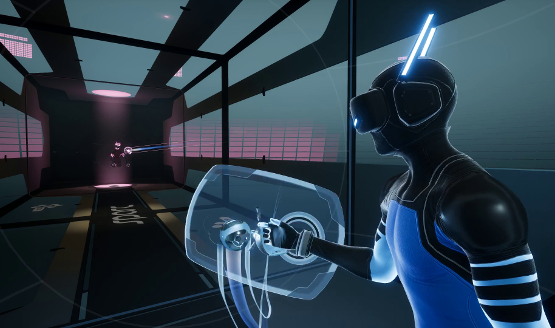 This time, CCP Games is branching out to virtual reality again with their latest game, Sparc, but something’s different. It has nothing to do with EVE Online! We managed to go hands (and face)-on with the game while at E3 2017, and have a preview ready for you below. 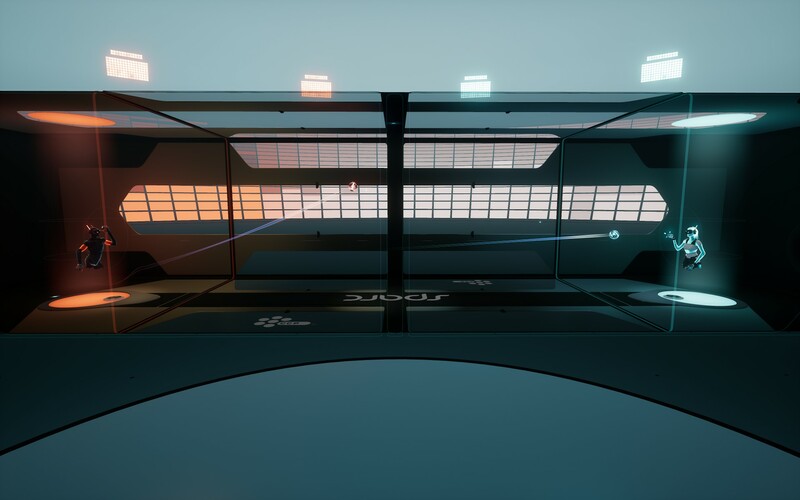 Sparc can be described as a first-person Pong-like game, mixed with racquetball, tennis, and even dodgeball. You’re placed in a one-vs-one court, which is a large rectangular prism floating in a nondescript space. While the demo we played was against another person the next booth over, we were told that the game will allow for other VR spectators, who can watch the game from a zoomed-out perspective, with options for staying social during the match (though these were not shown). Before the match started, we were shown how our avatars looked. The game features customizable avatars, so a sense of presence can be achieved by picking your player’s outfit. This is an area that CCP Games could have a lot of fun with, perhaps by utilizing assets from Eve Online, though of course nothing like that has been announced. Gameplay in Sparc consists of using both hands with Move controllers. As the match starts, each player takes their position, and a ball rises up from the floor in front of them. It’s pretty cool to be standing in front of the ball, and watch it float into your view. You then reach out and grab it with either hand using the T trigger on the Move controller. Now, you can make a choice to either attack and go for a point by hitting your opponent on the other end of the court, or sit back and get into a more defensive posture. Defense is two-fold. At the most basic level, you can wait for a ball to be thrown by your opponent, and knock it out of the way by swinging an arm at it. Another option is to hold onto your ball, and use it as a shield by moving your arm as if you were actually holding a shield. You can only use the shield while in possession of your ball, so it becomes a question of strategy – while you can only score points by hitting your opponent with a ball, your defensive options are limited while your ball is in flight. The court that you compete in is life-sized, and the walls are transparent, allowing you to look out into the void. The walls, floor, and ceiling are all fair game for ricocheting balls off of, which can result in some frenetic action as both players vie for a hit of their opponent. Since the walls are transparent, it would be cool to see the court placed in some exotic environments, though we saw nothing of the sort during our brief hands-on time with the demo. This is a genuinely new sport, built from the ground-up for VR. Action is fast and furious, with the use of both of your arms, while you try to concoct strategies and react to your opponent’s attacks with either attacks of your own, defensive swats of the ball thrown at you, or some mixture of the two. The game is played in short rounds, with a simple time limit. While I was playing against a developer, after a few matches I started to get the hang of things and stopped losing by a wide margin. I was thankful that I waited to play this game until towards the end of the day – even in the air-conditioned Sony media lounge, I managed to work up a decent sweat in no time. This could be a game to be played as part of a light workout regimen. CCP Games has a cool idea with Sparc. Not only is the game a good mix of multiple sports, but with concepts such as shields, it has a few videogame-related ideas thrown in for good measure. Not to mention, Sparc will have you working up a sweat in no time, since it requires both arms to be in near-constant motion. This is an exciting game to watch, and we’ll keep you updated as the game nears release with a timed exclusivity on PSVR later this year, and on other VR platforms afterwards.